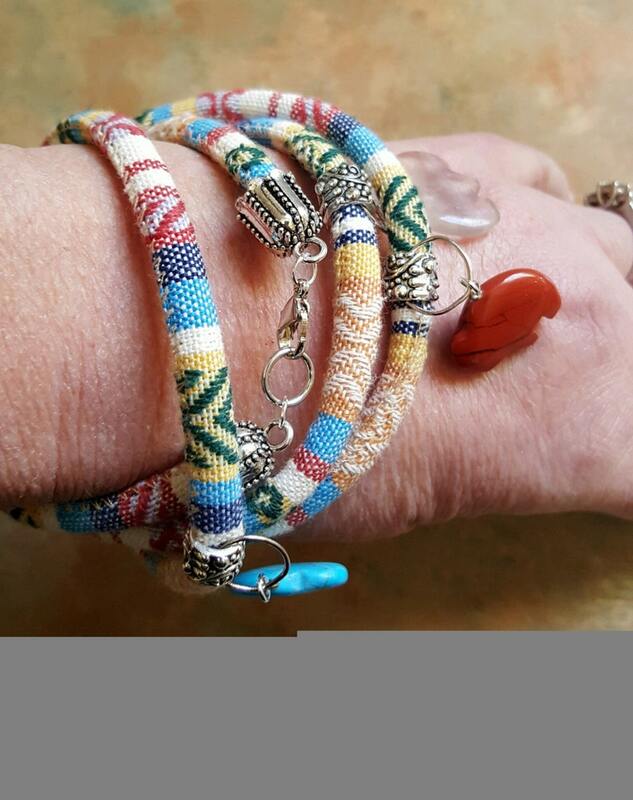 This sumptuous bracelet was made with a beautiful woven, 6mm 36 inch Cotton Blend Southwestern design fabric. It's decorated with silver tube spacer beads and colorful, semi precious stone Buffalo fetishes. You can wrap it around your wrist or wear it as a necklace. It can even be worn as an anklet. The connectors are fancy antique silver end caps. Lobster claw clasp. Very Bohemian!